Hi, and welcome to day 6 of the Whole Lotta Bag Along. We’re finally at the point where we can put the outer bag together, and regardless of which option you’ve gone with, either as written, or omitting various pockets, or using snaps, the outer bag goes together the same way, as par the pattern. When pressing the strap tab ends, and strap, I find I get a neater result folding the ends in after I’ve established the main folds. I don’t know why, that’s just how it works for me, but if you want to do it the other way, knock yourself out! Make sure you sew along the open edges before you stitch up the folded side, it seems to make for a crinkle-free result. When you’re attaching the side to the back piece, make sure the zipper is well away from the side seam – if you sew it into the seam, it’s a PITA to get out again if you didn’t break the needle on it! If you’re following the changing bag option, remember that you can’t use pins to attach the flap to the bag. Also remember that the lining side should be uppermost when sewing them together, otherwise you might end up cursing and unpicking. I’ve never done that of course. 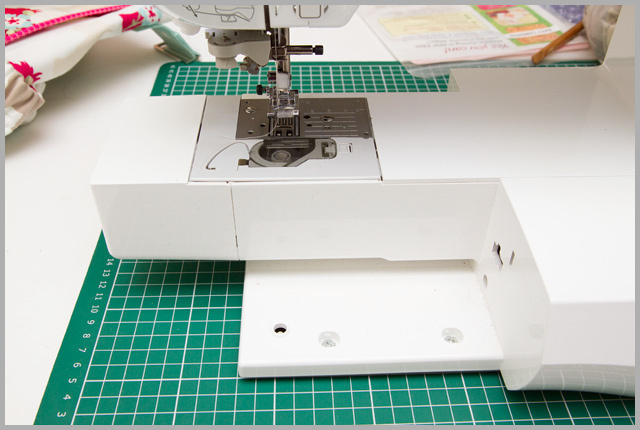 When you come to attach the flap, if your machine has a free arm, use it! It will be much easier to get through the machine if you use your free arm rather than wrestling to keep everything else out of the way. That’s all for this session, put your completed outer bag to the side, we’ll pick up the grid bag bottom and feet when we come to the final assembly. I hope there'll be no temper tantrums. Im sure if I was bagging along there would be tears …and a few swear words. Good luck everyone ! Sounds like ignoring your tips means a lot of wrestling, now where is Brad Pitt when you need him ??? 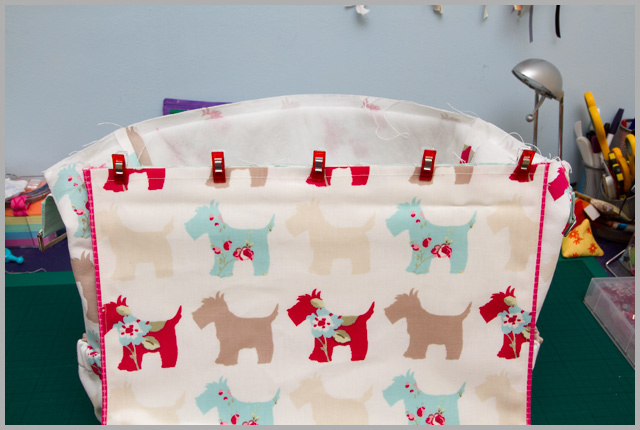 mmmmmmm Scottie Dogs……I wonder what you're going to do with this bag when you've finished it?